It is much easier and rather more effective to solve the problem of Samsung Galaxy S6 stuck on boot screen as you could where is the trouble on your phone. Take it easy. It is also fine if you have no ideas on why your Samsung Galaxy S6 staying with its logo for a long time. Keep on reading the SIX solutions below and cure your Samsung. 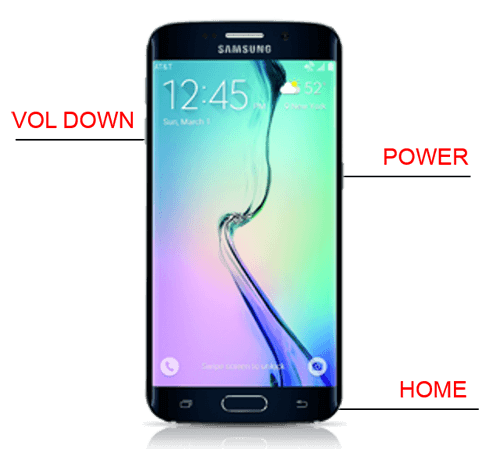 The reasons above will all arise your Samsung Galaxy S6 staying at boot or keeping the screen with logo. Then, you can try on these ways to reduce the chances of turning up into Samsung stuck time. 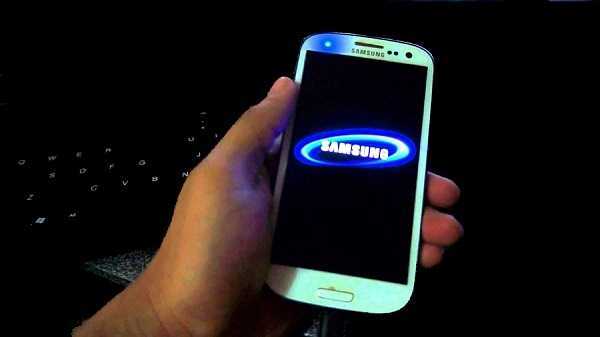 Flashing, rooting or any upgrading is implemented on your phone recently, recall your phone as well. The first solution to fix Samsung Galaxy S6 bricked in boot screen is using FoneDog Toolkit - FoneDog Broken Android Data Extraction. Note: Please confirm whether your device is supported by FoneDog Broken Android Data Extraction before you purchase it: https://www.fonedog.com/broken-android-data-extraction/reference.html. Step 1. Download and launch FoneDog Toolkit— FoneDog Broken Android Data Extraction on the PC. Step 2. Choose Broken Android Data Extraction on the home page. Step 3. Connect your Samsung Galaxy S6 to the PC and select the type matching your situation. Step 4. Select the Device Name and Device Model and enter the Download Mode. Step 5. Download the Recovery Package and click Recover button at the bottom of the screen to begin. Now you can wait for the "Repair Completed". You are supposed to ensure that your Samsung Galaxy S3/S4/S5/S7/S8/S9/Note 5/J7/C9 Pro can be turned on with enough power on its battery first. After charging your Samsung for around 1 hour by using its equipped original charger, press on the power button and check whether it can be normally started. Take the battery out of your Samsung and several seconds later, place it back to the phone or substitute for a new one. Press on the power button and find whether Samsung is stuck on the logo screen. Note: This means is NOT applied to Galaxy S5/S6/S6 Edge/S7/S7 Edge/S9/Note 5/Note 8 with non-removable batteries. In computing, it will cause an initial boot of the machine, or warm alternatively known as soft, where the system restarts without the need to interrupt the power when power to the system is physically turned off and back on again. Here, it is also helpful to fix common problems on your phone by switching it off and on; the operation can be called a soft reset. It is useful for the Samsung series with non-removable batteries to get rid of a frozen or an unanswered screen. As for Galaxy S5/S6/S6 Edge/S7/S7 Edge/S8/Note 5, a soft reset operates by maintaining pressing on the Power and Volume Down button at the same time for about 12 seconds. Since the "Maintenance Boot Mode" occurs, carry out the instruction of turning off and on again with using the Volume Up/Down keys to move highlight and the Home key to select. Tips: Your Samsung mobile phone would not automatically switch on after the reboot if it is lower than 5% in battery energy. As for other Galaxy models, like S3/S4/Note 4, a soft reset operates by pressing the Power button until you can choose Restart>OK on screen. 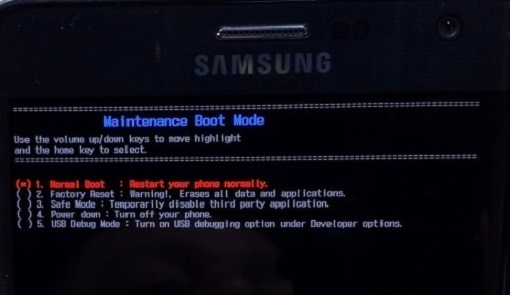 If your Samsung stuck on the boot screen is caused by lately installing third-party applications, this method is an expert to solve the problem. All third-party applications would be disabled as well as the phone would be back to default settings when the safe mode is on. You may easily identify that malicious software or malware arouses this Samsung error since the phone functions in safe mode. Now, you need to uninstall the applications with troubles and after your Samsung returns to a normal state, you can leave the safe mode. Step 1. Switch off your Samsung mobile phone and keep pressing the Power button. After the Samsung logo appears on the screen, then you can release the Power button and keep pressing the Volume Down button to enter the safe mode. It will notify you at the left bottom of the screen. Step 2. 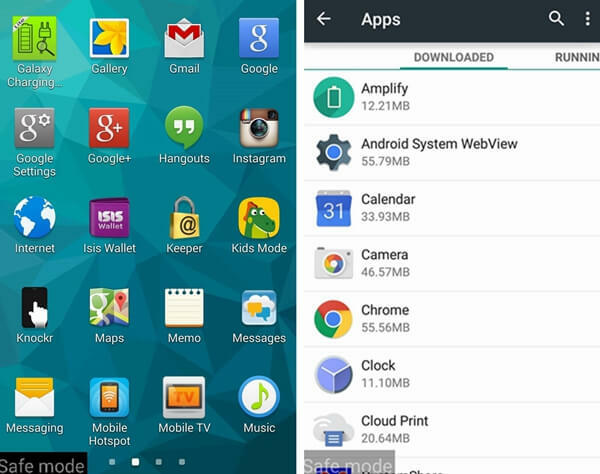 Uninstall the troublesome or the recently downloaded application through Settings>Apps. Finally, restart the phone and exit the safe mode. Note: If you fail to uninstall applications through Settings>Apps because of the gray Uninstall button, you can go through Security>Device Administrator and untick the apps and then go back to uninstall the apps. The apps have been not activated as a device administrator. Recovery mode can also help you fix the issue of Samsung Galaxy S6 stuck in boot screen. You'd better back up your data on your phone before you begin to cope with this problem because several instructions in the recovery mode are permitted to delete your data. FoneDog Toolkit—FoneDog Android Backup and Restore is a brilliant software recommended to you to selectively and flexibly backup and restore your important data on Android devices. Step 1. Keep pressing Power, Volume Up, plus Home button at the same time to enter the recovery mode. Step 2. Choose "Wipe cache partition" to delete the cache of the system or applications on the phone with Volume Down button and press Power button to confirm your choice. Calm down. Your personal data will not be deleted. After the deletion, restart your phone and check the result of recovery. Step 3. If the result is a failure, go to the recovery mode again and select "Factory Reset" to clear all the data and settings on your phone. After back to factory state, restart the phone once more and leave the recovery mode. You don’t know when your Samsung Galaxy S6 will be in trouble. Therefore, you are supposed to back up your crucial information or data on your phone against a rainy day. Hope you will have a good experience on your phone and at last, thanks for your reading.